In New Mexico, DWI stands for Driving While Intoxicated. A DUI is the same offense by a different name and stands for Driving Under the Influence. While you may not be drunk, if an officer can reasonably argue that you are impaired, you may be arrested for DWI/DUI. If an officer believes beyond a reasonable doubt that your alcohol consumption has impaired your ability to drive, you may be arrested for DWI/DUI even if your BAC is below the legal limit. In the event of an arrest, it is important to talk to a criminal defense attorney immediately as your rights may be at stake. 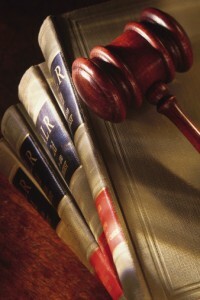 Our attorneys are passionate about defending New Mexicans charged with DWI/DUI. We understand that a DWI/DUI is horrible experience, especially in New Mexico. Our firm will pursue every potential avenue of defense to protect your rights, freedom and reputation. Contact an experienced DWI/DUI lawyer today to learn how we can help you. Call (505) 842-1440 to schedule your free consultation and to discuss your unique DWI/DUI case.